This film touched me and made quite an impression on me for various reasons. First of all, I love historical dramas, especially those which portray a non-European perspective. I love learning more about different cultures and customs, especially as these were lived in times past. 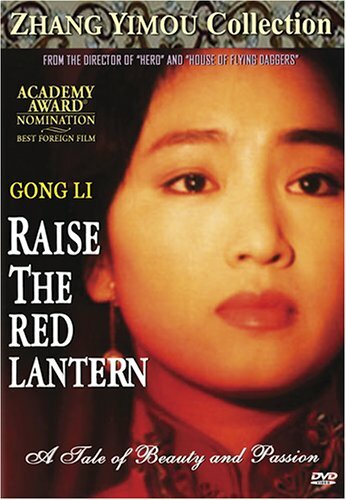 Raise the Red Lantern focuses on the life of a nineteen year old girl Songlian who, pressured due to her family’s poverty and her father’s death, decides to become a rich man’s concubine. 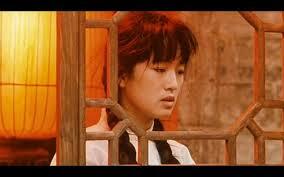 She is his fourth concubine in fact, and the whole film takes place in the ‘Master’s’ house. We never see the outside of the house after the film’s five minute introduction, and neither does the main character. Although the cast of the film is limited, this is very in-line with the story and plot-line, seeing as to how we experience life as the main character does. She is isolated, lonely, and cannot decide what is the reality or who is deceiving her. We never see the ‘Master’s’ face. This is very symbolical. In the 1920’s this was how society treated women – this was how concubines were expected to live – who the Master was, was not important. The women’s lives centered on his every whim and desire. 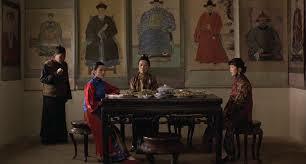 The four concubines live togather in different sections of the vast beautiful house. Traditionally Chinese, their life is structured according to family ritual, and yet they still silently hate and compete with one another. The First mistress is old and her son is the Master’s heir and is always away. The second mistress, whom at first we think is kind and nice, is in reality a scorpion, egging on people against Songlian. The third concubine, still young and beautiful, had once been an opera singer, is very creative, and is secretly in love with a young doctor. 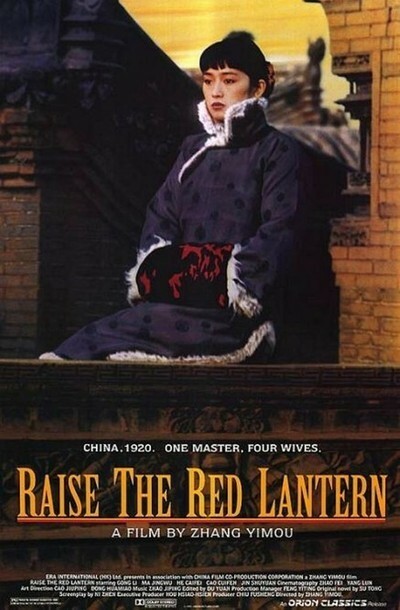 The Master decides who is in favor by placing red lanterns in front of the ‘house’ belonging to the mistress who will pleasure him for the night. The chosen one gets a foot massage, chooses the menu for the following day, and crows in victory over the others. The storyline is not complicated, yet has a certain horrific quality to it. Combine this to the fact that we know this is what really happened during this period in time, is the soul-crushing certainity of each of the mistresses that she will never get out of that house. Her body, her time, her life, belongs to the Master and is his to dispose of. This is blatantly obvious when he orders the killing of the Third Mistress, after she is discovered to be cheating on him. At the end, the main character is mentally and emotionally shattered, preferring the life of a mad recluse to that of a concubine forced to live life in constant rivalry in a world where there is really no escape. This film is very poignant and well executed. I do not think the casual movie-watcher will appreciate it, as it is quite slow-moving and full of Chinese rituals and traditions which are not all fully explained. I loved it since I am very interested in Asian cultures, and love anime, therefore having watched and read about these kind of traditions before. It is a very psychological film too. What is not said, is more important than what is actually uttered. A true gem of its kind. 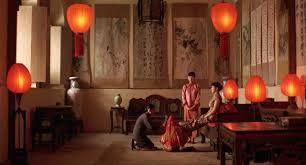 The film is based on the novel ‘Wives and Concubines’ by Su Tong.